When a multimillion-dollar home hits the market, a regular open house just won't cut it. Making a sale means pulling out all the stops, and putting together a marketing plan that could include boat rides, private planes or, for one realtor, a strategically placed lingerie model. Jack Cotton, a realtor in Cape Cod, Mass., will take potential buyers out on his powerboat. He works with properties on the high end, which he defines as the top 10% of the market. "That's kind of our secret weapon," he said of his boat. 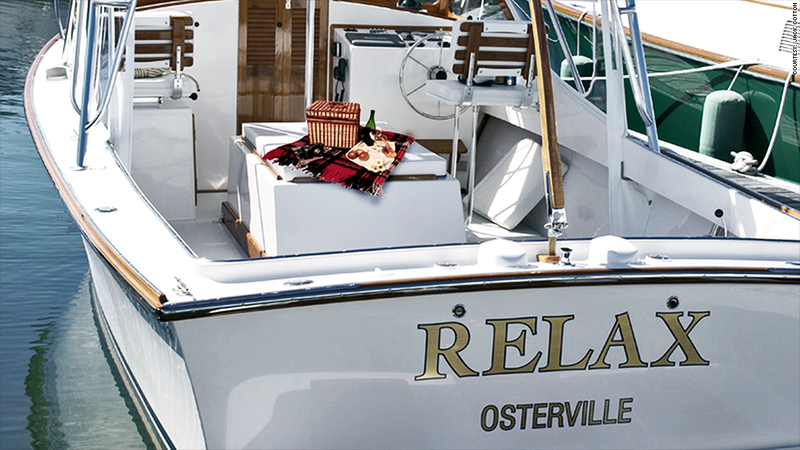 His clients enjoy cruises of the nearby inland waterways to "experience the lifestyle of being here." He mentioned his counterparts in Colorado will take their clients out skiing, and Manhattan realtors take potential buyers out in limos. Ken DeLeon, a realtor in Atherton, Calif., the highest-earning zip code in California, recently took delivery of his own private plane. He uses it to give buyers -- particularly overseas investors -- aerial views of what could essentially be their next backyard. 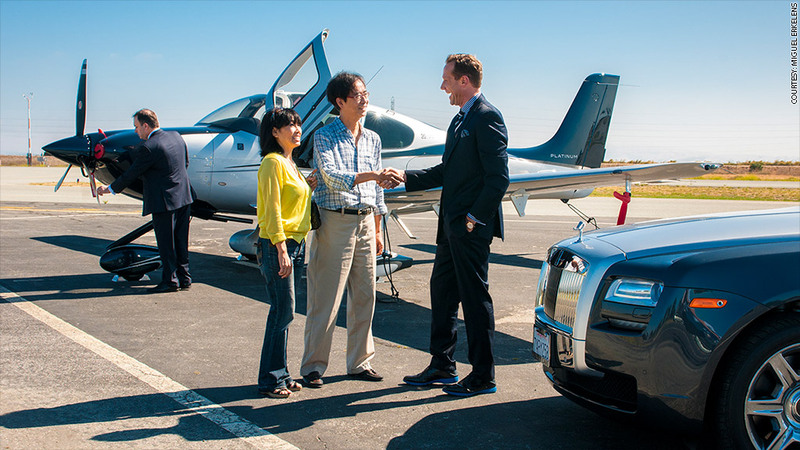 California real estate agent Ken DeLeon speaks to clients in front of his new private plane. But a plane isn't the only way to give clients a birds-eye view of a property. 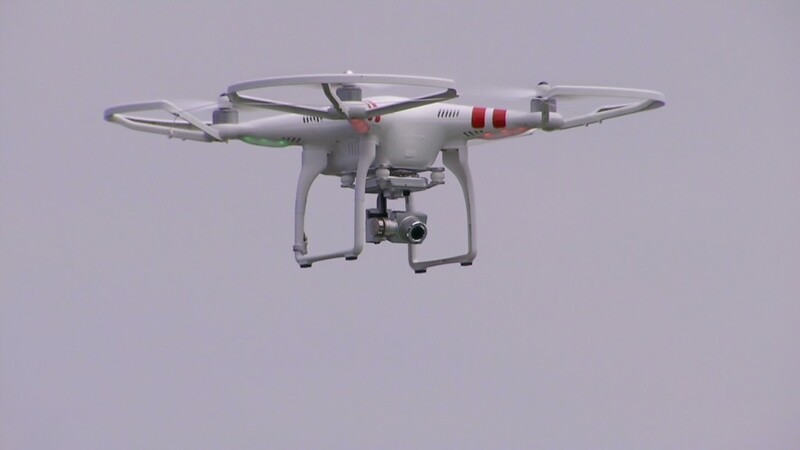 Realtors are now using drones, and drone technology, as a way to stay on top. "The high-end market is very competitive," said Colette Harron, a real estate agent in Essex, Conn. "So whatever it takes." Her company recently used photographs taken by a drone to showcase a large, multimillion-dollar home in Connecticut. The drone was able to capture the stunning water views of nearby Long Island Sound. Buyers in the well-heeled River Oaks neighborhood of Houston are offered something new from builder Al Ross, who's putting up several large houses in the $4 million to $5 million range. He includes a personal concierge service with each home. Good for one year, the service includes seasonal flower and plant renewal, cleaning of the home's exterior and gutters, touch-ups to walls that are scuffed or scraped, and other services. Clients "want to know that you are there for them when they need you," Ross said. Each home also comes with a three-year warranty on its construction. If anything breaks, he'll fix it, no questions asked. "It's no different than buying a very luxurious car," he said. "You expect everything to function properly." Picnic, anyone? Realtor Jack Cotton said boating is part of the lifestyle in Cape Cod, Mass. For others, selling a high-end property is about creating an experience, and making a buyer understand the lifestyle that comes with a certain property. Los Angeles realtor Eric Lavey used to produce sleek, narrative-driven videos with professional actors that gave potential homeowners the ability to see what life might look like in the properties he markets, which usually go from $10 million and up. Now, he says, the market is so hot he doesn't have the time to create videos, and instead focuses on getting his clients properties with the two must-haves for his area: views, and a substantial master bathroom. But wooing the potential buyer may take more than that. Michael Meier at the Meier Group in New York City goes truly over the top when it comes to imagining a certain lifestyle. In a recent shoot for a downtown loft, he added a scantily-clad lingerie model to the scene. In one shot, she relaxed in bed with two male models. "People dress themselves in jewelry to make them look good. I dress homes in beautiful people to make them look good," Meier said of the shoot, in a recent video on his website. Meanwhile, Cape Cod realtor Jack Cotton said he doesn't believe in staging for the high-end buyer because "it's not real, it's contrived, it's pretend ... people in the high end don't want to be played," he said. "They want the truth." He doesn't even believe in the old trick of baking cookies before a home's showing. He contends that it all comes down to knowing the buyer. "You have to adapt to the market that you're in," he said.